xenith | Three objects, three museums. Three objects from three museums at three different levels (national, state, local) in three different states/territories. Two skeletons, the one at the back being the shorter ones. Its head blends into the background a bit so you have to look carefully. 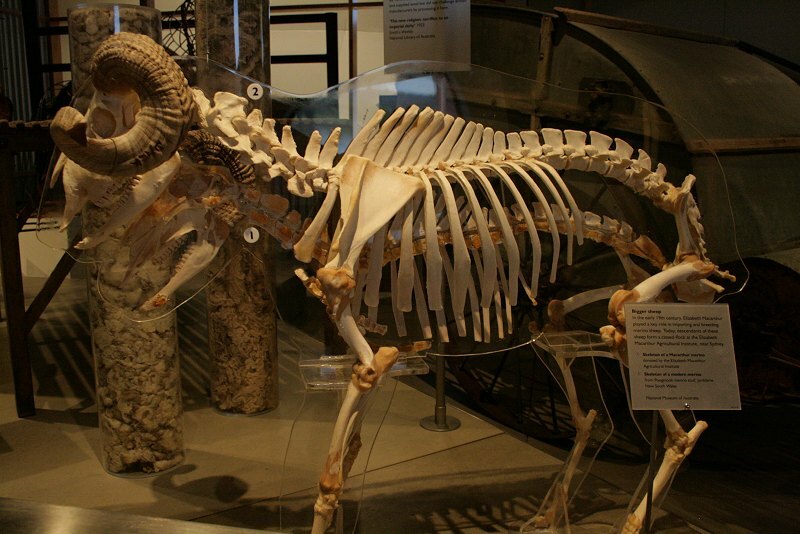 An interesting way to demonstrate the changes between the modern merino sheep and the earlier type. In the early 19th century, Elizabeth Macarthur played a key role in importing and breeding merino sheep. Today, descendents of these sheep form a closed-flock at the Elizabeth Macarthur Agricultural Institute, near Sydney. A glass tool. So I've seen this and similar ones before (and first came across these in an archaeology lecture many years ago) but it's the first one I've been able to get a decent photo. It speaks of human adaptation, blurring of the lines between indigenous people and colonists, and the possibilities of a cooperative society that wasn't to be. 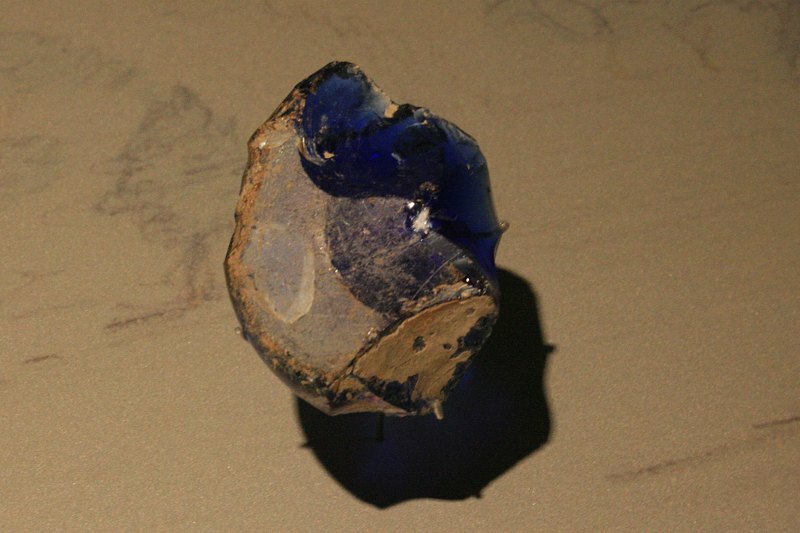 Aborigines recognised that they could make incredibly sharp tools with glass from the thick bases of bottles. The glass bases became tradable good which encouraged dialogue and agreements with isolated settlers and convict stockkeepers. Firearms with name/initials of well known figures are problematic (read: liable to be fake) and even firearms that come with story associating them with well known features should be treated with suspicion, unless their provenance is known or the claim can be verified. 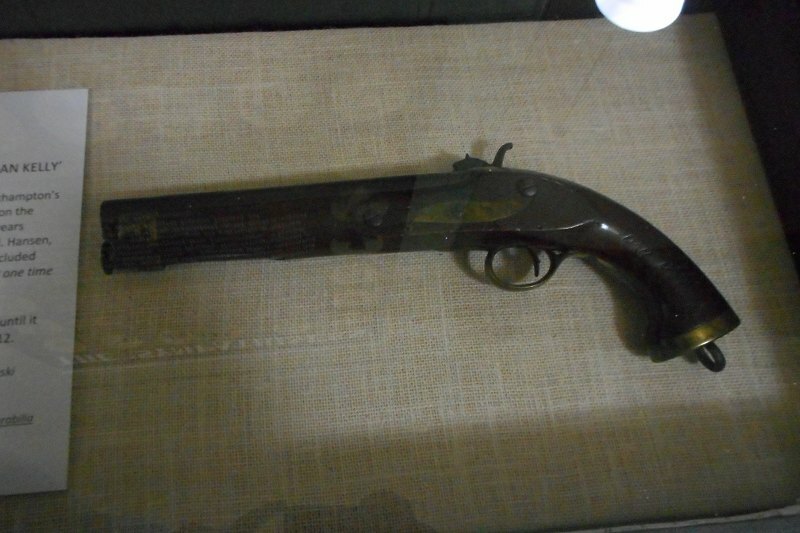 So it's not unusual for firearms on display in museums to be accompanied by an explanation of why their authenticity is accepted. However, I have never seen this amount of documentation included with a gun before. 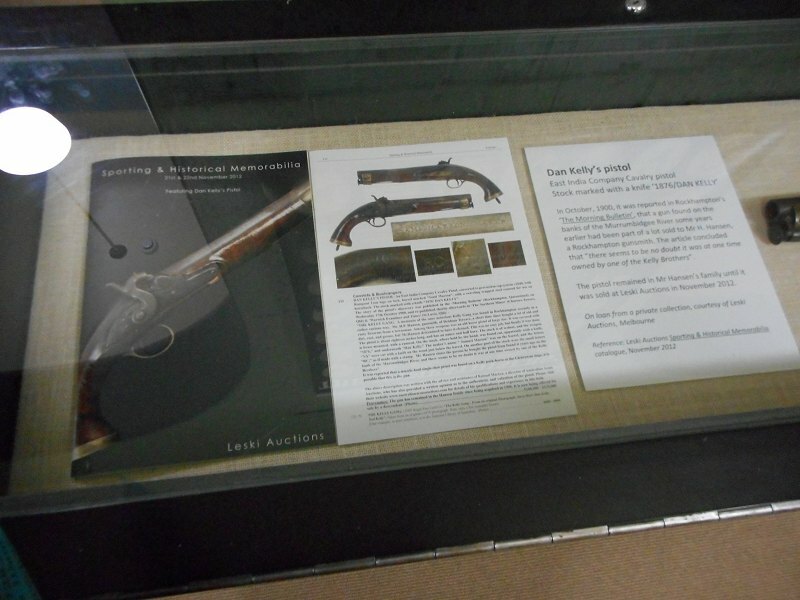 An auction catalogue alongside an label detailing what is known about the gun's background. They take up more space in the case than the actual object. Which I probably should include too.